The Samurai Ninja umbrella is the ultimate geek wet weather protection. There is no need to sacrifice your reputation for cool just because it is raining! 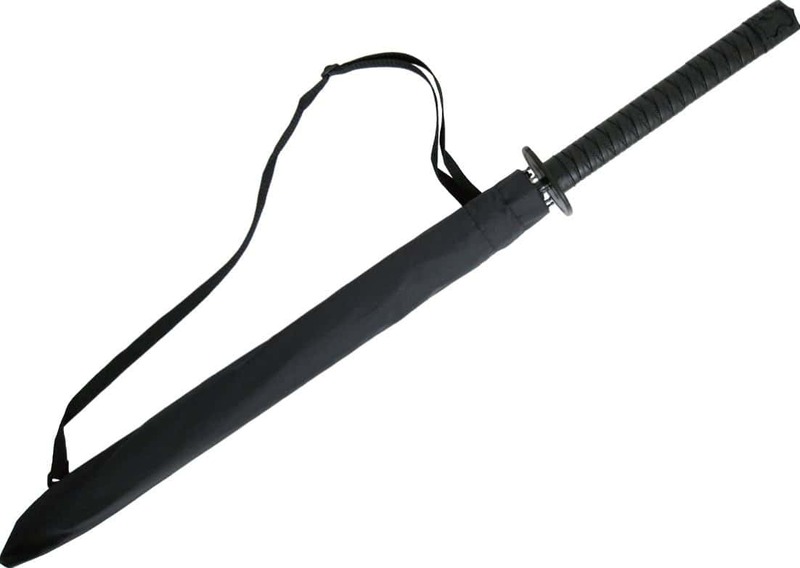 This umbrella features a full length Samurai sword handle. 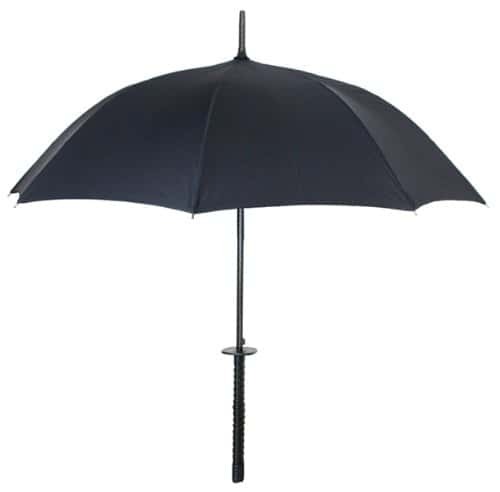 It is an easy to use, high quality umbrella that will keep you dry. It comes with a nylon 'Scabbard' so even when you are carring it in between showers .. it still looks awesome! This is a unique, original design and the patent is pending so get it while it's fresh. A true Ninja is always prepared, rain or shine! The 'Scabbard' carry case features an adjustable strap for convenience and comfort. Like this? If so there is plenty of other cool Ninjarish gear at welldonesuff.com. Check these out Wrist Band Charger .... Multifunction Pen.